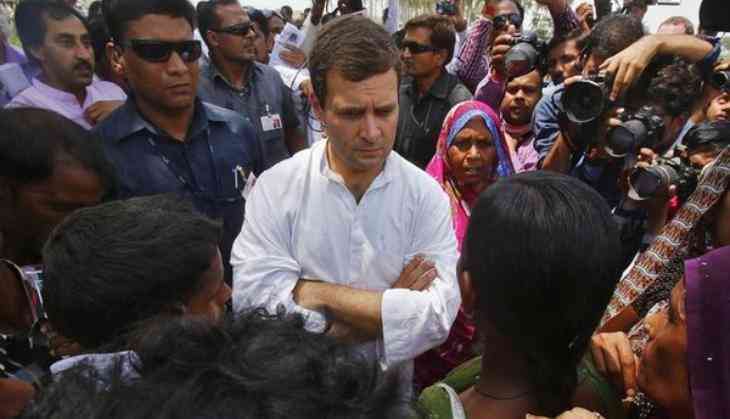 A senior Congress member from Uttar Pradesh Vinay Pradhan has been sacked by Uttar Pradesh Congress Committee (UPCC) chief Raj Babbar for calling Congress leader Rahul Gandhi 'Pappu' on 13 June. Vinay praised Rahul in his post by calling him Pappu for his recent visit to Madhya Pradesh's Mandsaur district. According to Times of India reports, Vinay allegedly made the references in a message sent on a WhatsApp group titled 'Indian National Congress' that later went viral. “Rahul Gandhi is also known as Pappu by a section of people in this country. People of this country are witness to the fact that Pappu has never taken to lavish life style. Pappu never took part in the parties thrown by industrialists like Adani and Ambani because Pappu knew he would that these people would only exploit the common people’s resources. Pappu could have easily become the Prime Minister of this country but he did not,” goes the long post of Mr. Pradhan. The sacked Congress leader, however, denied sending the message and cried foul. “This is an effort by some people in the party to malign me. I have not sent any such message. The screenshots being circulated have been photoshopped. I respect Rahul Gandhiji and would never use such language for him,” he was quoted as saying by the Times of India. Pradhan also said the party did not hear him out before removing him from all posts.